This crochet pattern give you the instructions to make your own newborn fisherman hat, suspenders, fishing pole, and amigurumi fish. Perfect photo prop for every little boy and girl! Great for any newborn photo session! This crochet pattern gives you the instructions, so that you can make a fisherman hat, suspenders, fishing pole and little amigurumi fish. Perfect photo prop for every little boy and girl! Great for any newborn photo session! To just get the pattern for the fishing pole with little Amigurumi fish, go here. For ‘E’ hook, you just want stitches tight enough, so that you don’t see the stuffing. Photo tutorials on how to create magic ring, FPdc, BPdc, and fdc on my blog. NOTE: This pattern is an INSTANT DOWNLOAD pattern. You will also receive an email immediately following your confirmed payment, which will include your download link and information. You will need Adobe Acrobat Reader to open this PDF file. I would love to see your finished projects! Please share them on my Facebook page, www.Facebook.com/AMKCrochet or though e-mail at AMKCrochet@gmail.com. **You are responsible for your finished items. Due to small parts, this photo prop can be a choking and strangulation hazard for children under 3 years old. Please monitor all children. Please do not copy, resell, rewrite or redistribute this pattern or any of the pictures as your own or in any other form. 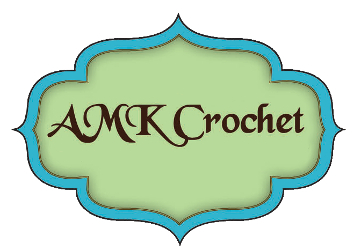 This pattern and all photos from AMK Crochet and Memories by Michele are copyrighted and cannot be used without written consent. You are responsible for your finished items, please monitor children while wearing or playing with items. You may sell finished items made with this pattern, but must include a link back to my store, www.AMKCrochet.com. You can check out my blog to get tips, tricks, and free patterns! Hi there, great read. I really liked your post. I’m a huge fan of fishing. It is really awesome. Thank you my friend.